LEGAZPI CITY— A public school teacher was stabbed to death in Pioduran town in the province of Albay last Tuesday night, said by a police on Wednesday. 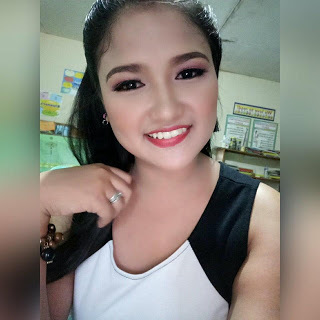 Pioduran police chief Senior Inspector Joseph Abel Jarabejo, reported that Mylene Durante, 23 years old, was stabbed to death at the Oringon Elementary School at around 11 p.m. Tuesday. The victim was permitted by the school administration to use the office as her quarters to help her save money since she was a resident of Polangui town, which is around 44 kilometers away from Pioduran, Jarabejo said. The two Grade 6 pupils, who live in the village, volunteered to sleep at the principal’s office to accompany her at night. The body of the victim was found a few meters away from the principal's office said the Police investigators. The report said her companions received minor wounds while the victim sustained several stab wounds. The Grade 6 students were taken to the Pioduran Memorial District Hospital to receive treatment. Barangay Qringon is a remote upland village in Pioduran where the school is located. The place can only be accessed through a motorcycle or "habal-habal." Police operatives were able to arrest a 17-year-old Grade 8 student who is a suspect in killing Durante 10 a.m. on Wednesday. The student was known to be studying at a nearby National High School. He was arrested at the vicinity of the crime scene after the two students have witnessed identified him, said by the case investigator of the Pioduran Police Senior Police Officer1 Jigger Bas.